Our professional studies areas include occupational sub-baccalaureate certificates in which you can acquire new skills and construct expertise in a specialized field to transform your professional profile, upgrade your career, or expand your knowledge base. 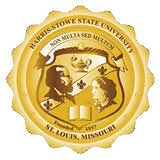 Individuals officially accepted as Harris-Stowe State University students and who have completed the Audio production, Crime Intelligence Analysis, or Documentary Videography programs may use their certificate as a minor with the completion of a bachelor degree. Our new certificate programs will be delivered in an innovative and hands-on learning format. You will learn from faculty members from programs across Harris-Stowe State University and professionals currently working in the field.